A few months ago I had the pleasure of introducing you to a neat company called Mantry that offers up some unique and fun food items for what they call “the modern man’s pantry”. My husband and I were beyond impressed with the quality of items in that first Mantry box we received for review and we were both excited to have the chance to review a new crate of goodies from them. * Aurelia’s Dry-Cured Chorizo – this chorizo is all-natural, naturally smoked and comes fully cooked. This is a great addition to breakfast in the morning, mixed in with some scrambled eggs. * Olive & Sinclair Cinnamon Chili Bar – this chocolate is hand-crafted in small batches with whole beans that are slow roasted and stone ground. This is a chocolate experience my husband and I have never had before – there’s a nice little spiciness that enhances the sweetness of this chocolate, and it has a great texture that adds to its overall appeal. * Just Cook Ancho Chicken Rub – I like the story behind this product – it was started by a software salesman who had a passion for making spice rubs. The result is a great combination of ingredients that come together to form the perfect spicy/sweet/smoky rub. I’m excited to try this with some chicken on the grill this summer. 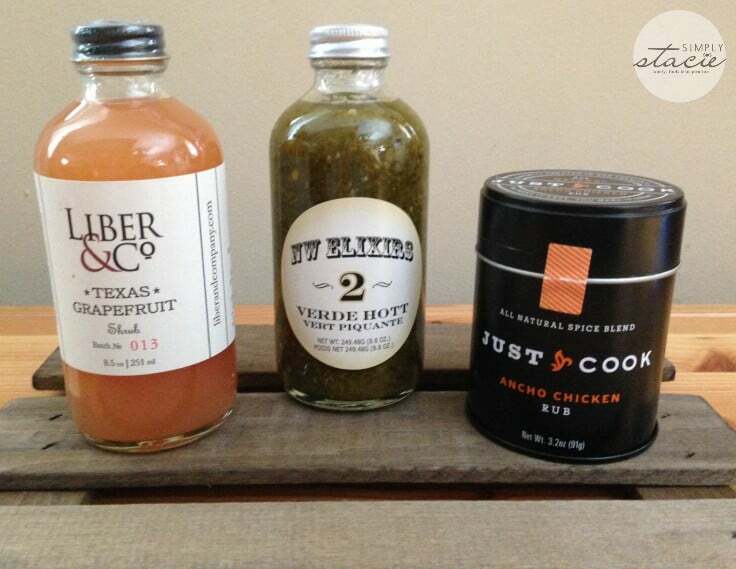 * Liber & Co. Texas Grapefruit Shrub – this is such a versatile and tasty product to have on hand. It’s a blend of Texas grapefruit and coconut vinegar that adds a fantastic flavor to just about any drink – from adult beverages to simple sodas. I love grapefruit and this shrub really has a great tart refreshing taste that makes me think of summer days. * Fiddyment Farms Chili Lime Pistachios – if you like spicy snacks, these are for you! They have quite a kick to them! My husband loves spicy foods, and he said these pistachios are one of the spiciest snacks he has ever had. * NW Elixirs Salsa Verde – a versatile verde sauce for any style of cooking, and of course for dipping! 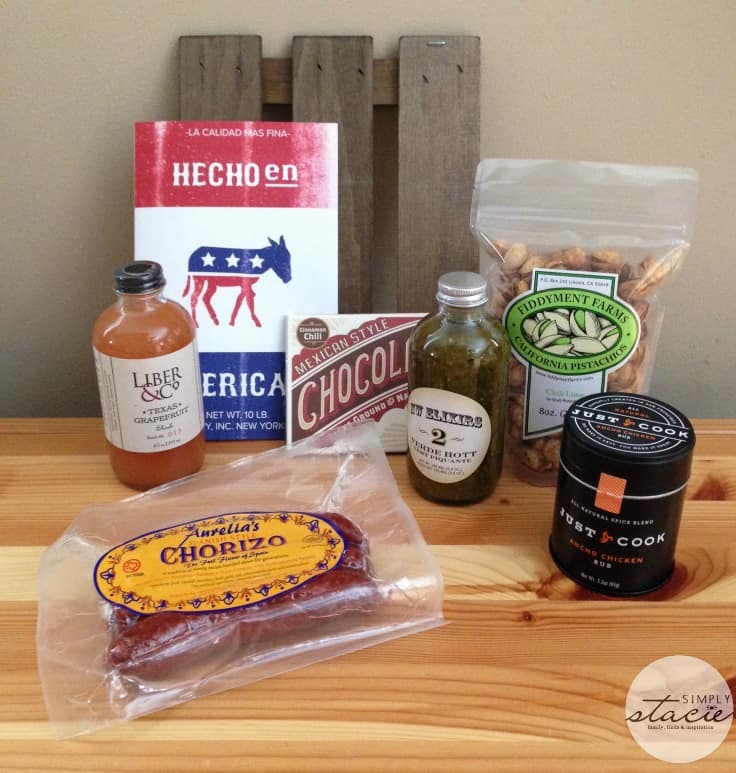 This crate was fun and everything was so tasty, and it introduced my husband and I to some neat new brands we never knew existed before. We had a great time trying these products and it really made the crate more than just a box full of products – it made it a great experience exploring new tastes and textures. Mantry is a great company that prides itself of helping you discover American artisan food, sourcing products from small towns in the south to big cities in the east. Their mission is to deliver six full-size, premium foods that allow you to try the best America has to offer. You can pick up a one-time crate for $75, a 3-month subscription for $225, or a 6-month subscription for $450. Think of Mantry when you’re trying to figure out what to get that man in your life who is impossible to shop for – for Father’s Day, a birthday, a neat little twist on a traditional Easter basket, to celebrate a graduation or promotion, or for any occasion! 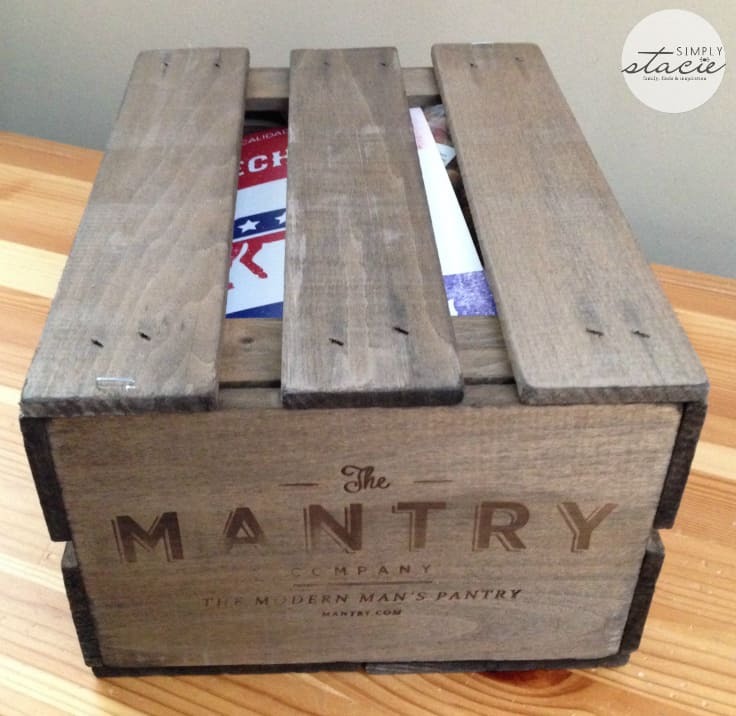 You can learn more about Mantry on their website, where you can also get a peak at what they included in past boxes. You can also find them on Facebook, Twitter, Instagram, and Tumblr. This is great! Perfect gift for the guy who is hard to shop for too! Love the crate packaging! Thanks for the introduction to Mantry! I love the box and the contents look great too! Oh that sounds like an awesome bunch of products! Wow that is a lot of great products ! Great box. That would sure make a nice gift! Love the name…Mantry. It’s fitting and creative, goes well with their slogan, and what interesting products. The cinnamon chili bar, salsa, and chorizo all sound good. What fun to try! What a great way to get local artisan products out there and more exposure! This looks like a good gift for my boyfriend. Such a cute idea! My man would love this.Love the crate packaging!